With a high stress job that requires me to be on all the time, I have to do a little bit extra to break away and make sure that me and my family are on a healthy path. Since I became a mom, I feel time has gone by too quickly and often leads me to become disorganized. The hardest part to living a healthy lifestyle for me is preparing healthy meals and snacks that are tasty and easy to make. As I previously mentioned in some older blog posts, it is very important for my family to have 3 small-portion meals and 3 snacks each day. I personally enjoy snacking between meals as it keeps my energy levels high throughout the day and prevents overeating later in the day. Like many of you I’m sure I am forced to be a multitasker, and with my busy schedule I just don’t have time to slow down. My life will turn upside down if I don’t eat enough food or am forced to work on an empty stomach. Food is always on my mind(!!) so eating right is something that I pressured myself to make a habit, and now really enjoy. I always sincerely liked foods that are high in fiber and protein. My kids and I also love eating fresh fruits as snacks but it’s not-so easy to serve fresh food when on the road or practicing sports. Its very hard to take fruit in the car without getting it bruised or making a mess. 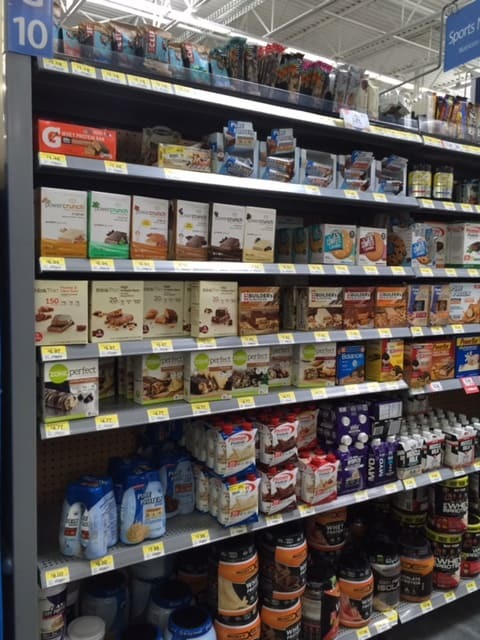 One of the best solutions is to keep nutrition bars in our home and on the go. 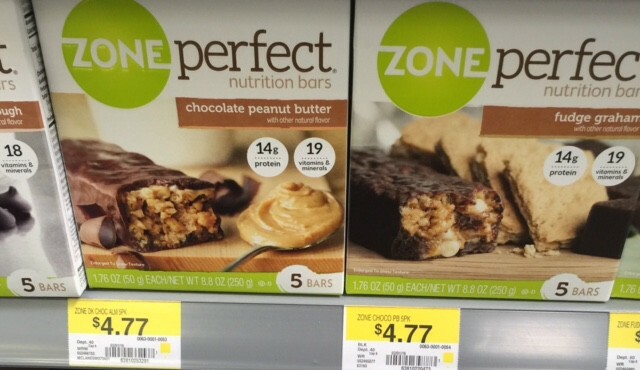 My husband has been a big fan of ZonePerfect® Nutrition Bar and keeps a stash at work. He and I both appreciate how each bar has no less than 10 grams of protein. The wide flavor variety of flavors to choose from keeps us craving ZonePerfect® Nutrition Bar over others that aren’t so tasty or just have one or two flavors. They also have a good source of fiber with high quality taste and NO HFCS. It comes in a perfect snack size that is I have found first-hand is a great match for the high-energy lifestyle. With the taste of ZonePerfect® Nutrition Bar I have found them to be a great ingredient to pep up some recipes, too. 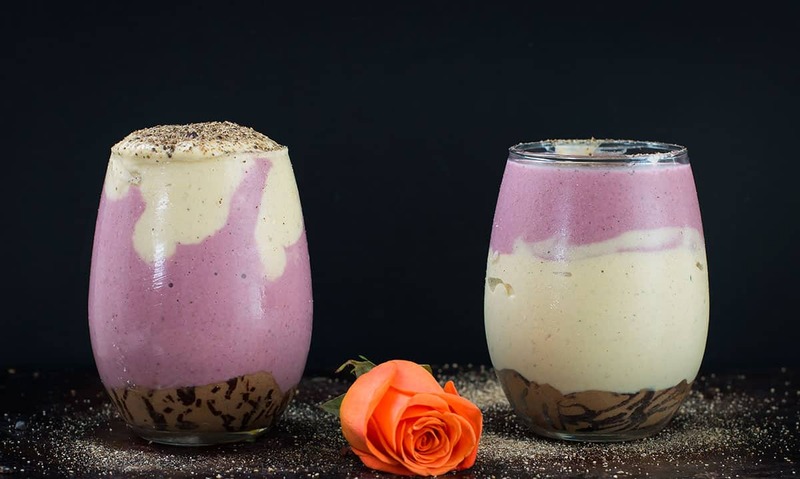 I recommend that you do the same, especially when in the kitchen and reaching for dessert-type ingredients, consider an alternative that may be a lot healthier and simultaneously bring the taste to a new level. 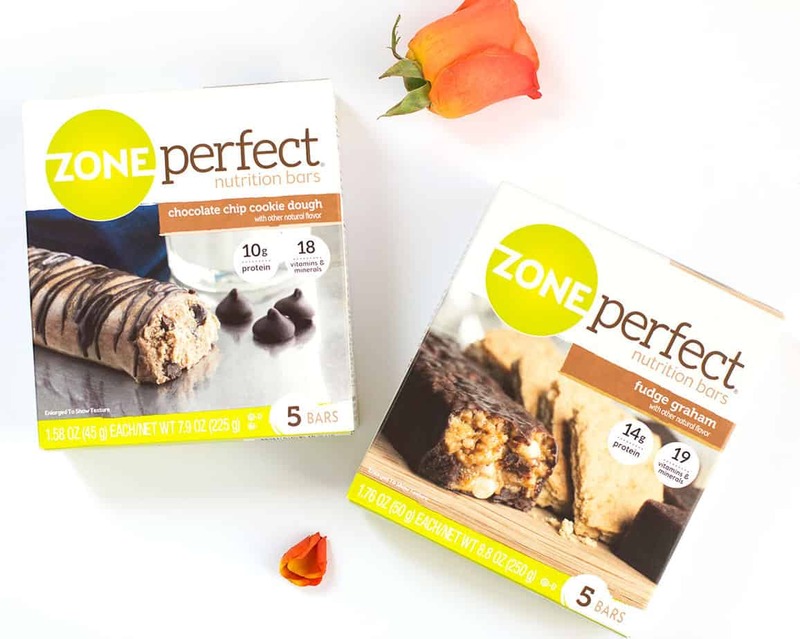 You can purchase at Walmart stores and check out the Walmart Bundle offer, Buy 2 boxes of ZonePerfect® and save up to $4! 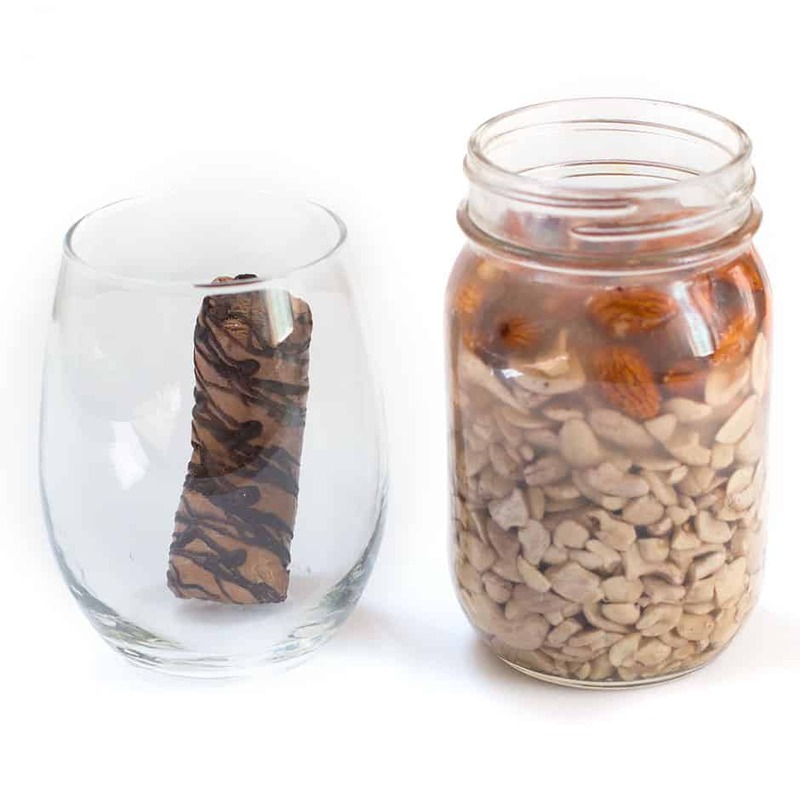 Press gently 1 (one) ZonePerfect® Chocolate Cookie Bar into the bottom part of mason jar or any wide smoothie glass. Using a high speed blender, mix all ingredients for yellow layer and blend until smooth. Using a high speed blender, mix all ingredients for red layer and blend until smooth. Create another layer on top of the yellow mixture. You may create as many layers as you like, just be creative and make it look pretty! Serve with your favorite toppings. For this recipe, I made a 2 inch balls out of ZonePerfect® Chocolate Cookie Bars and added frozen berries on top. I could literally drink one of those every single day! It sounds like a phenomenal smoothie. NOMS. Oh this looks so good. I’m a big lover of smoothies and you got me here with chocolate chip cookie dough. Yummy! I love the flavor of cookie dough. This smoothie sounds and looks so delicious. I’d love to try this recipe this weekend!! That looks so good. I usually have a protein smoothie for breakfast every morning to help keep myself full. Ohhhh, this sounds so yummy! A Chocolate Chip Smoothie so good right about now. It is very hot here today and that looks like something I could drink right now. 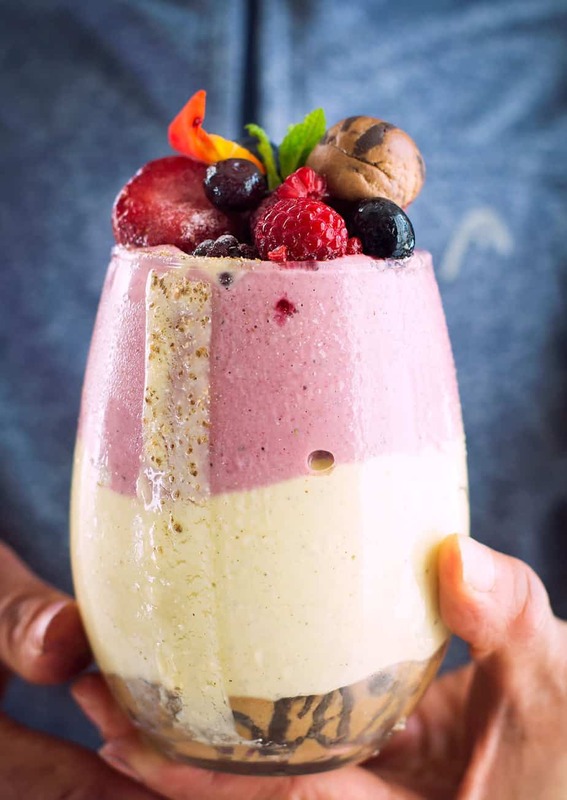 I have never tried using a granola bar to make a smoothie, I’m going to now this looks delicious. This looks and sounds delicious. Your photos are the best I’ve seen of a smoothie. I can almost taste it. Now I need to make one. This looks amazing! I could definitely go for a smoothie like this right now. Each layer sounds amazing! This looks like a great way to change up your diet to add more protein for sure. I will have to try to make it sometime, when I Have all of the ingredients on hand! Ooo this shake sounds delicious!! I’m definitely going to be pinning so I can try it out myself. Yummy. That looks so delicious! 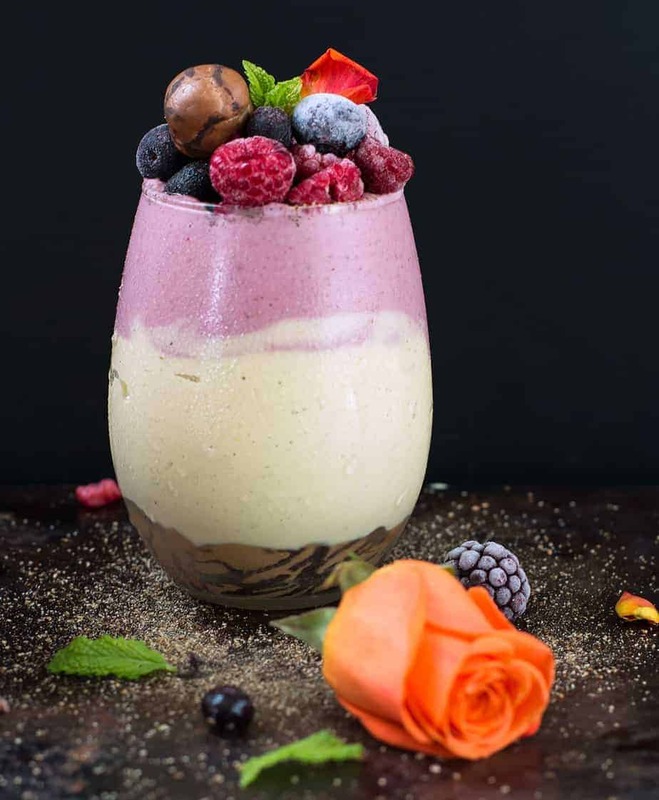 I do love a good smoothie and the toppings look amazing! 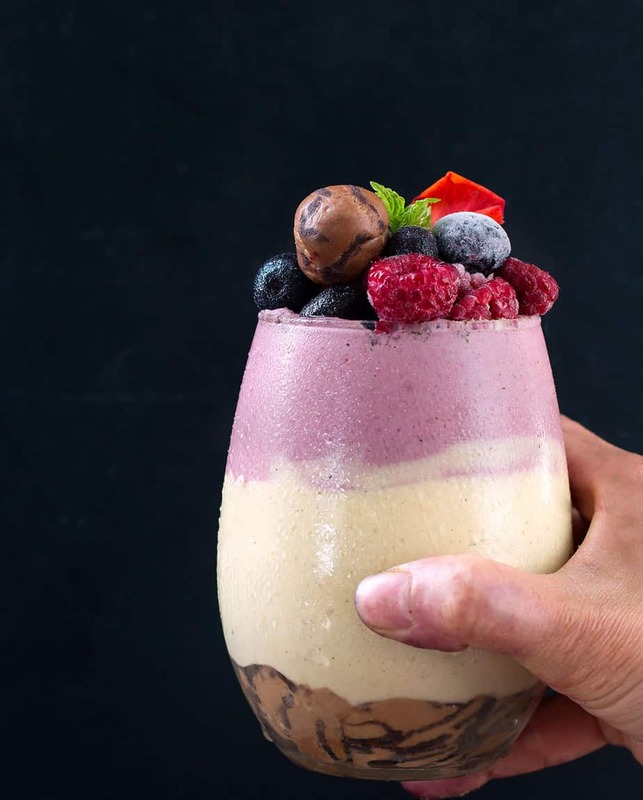 This chocolate chip cookie dough protein smoothie sounds and looks so good. 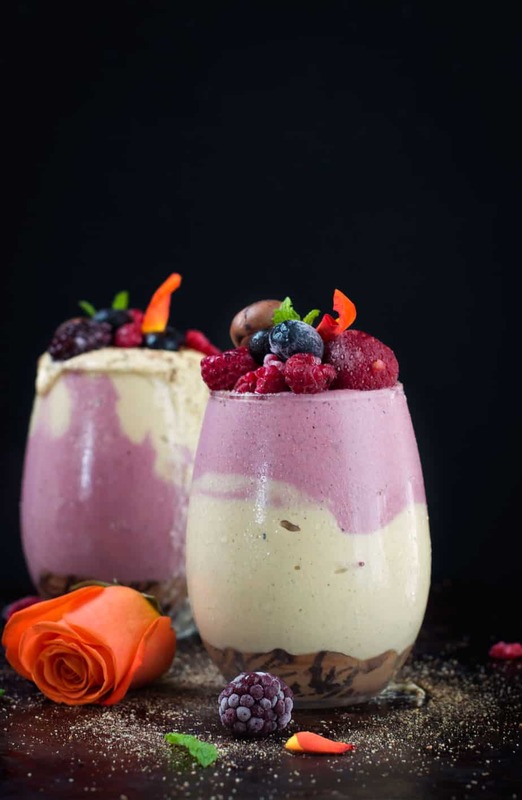 My sons would so love this smoothie too and they are also big fans of the Zone protein bars. I am sure sure going to be making this recipe. Thanks for sharing the recipe. Wow this looks amazing! I could see myself enjoying quite a few of these during the week. They look really great! I love smoothies and this looks awesome! I really need to get back in the habit of making them. I NEED that smoothie! It sounds incredible. I adore smoothies as it’s a great way of eating healthy without even realising! Wow yummy very nice .. btw are this safe for diabets user ?? Low calories ? 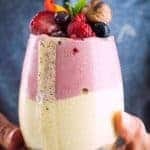 OH MY, This smoothie sounds and LOOKS incredible!!!! !